We’ll provide the high-quality granite you need to get great results in Toronto. While you may think of granite as a popular indoor stone option (such as with granite countertops), you may be surprised to learn that granite can be used for a variety of indoor and outdoor purposes. Because it is incredibly durable and comes in a number of colours and styles, you’ll enjoy having granite as a part of your landscape just as much as you would if it were part of the inside of your home or business in Toronto, Ontario. At Maxwell Stone, we can supply you with the granite you need to create a beautiful outdoor space, whether you want to create a stone feature or add granite to another part of your landscape. 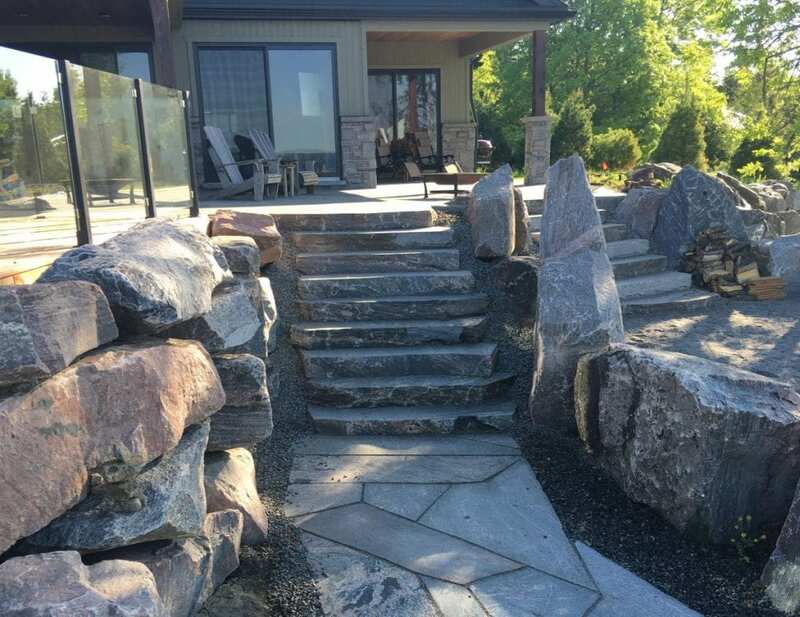 From boulders to pathways and durable outdoor features, you may find that granite offers a lifetime of enjoyment and function. At Maxwell Stone, we believe that having high-quality granite for your indoor and outdoor spaces is what makes it truly worth adding. When you shop with us, we’ll work with you to provide the granite and other landscaping products and accessories you need to get great results, no matter what your project may be. We offer fast turnaround times and can deliver your granite to your door, so your project can get started right away. You may also benefit from our custom stone sawing services that allow you to create the stone features that work best for your needs. Contact us today to place your order for granite or any of our other stone products and accessories at Maxwell Stone. At Maxwell Stone, we offer granite products to residents of Toronto, Newmarket, Aurora, Vaughn, Innisfil, Barrie, Collingwood, The Blue Mountains, Thornbury, Muskoka, Orillia, Southern Georgian Bay, Grey County, Meaford, Owen Sound, Orangeville, Thornhill, Scarborough, Woodbridge, Mississauga, Brampton, Caledon, Mono, and Bramalea, Ontario.